We’re beyond excited for our upcoming 2019 Morocco Beauty Journeys. 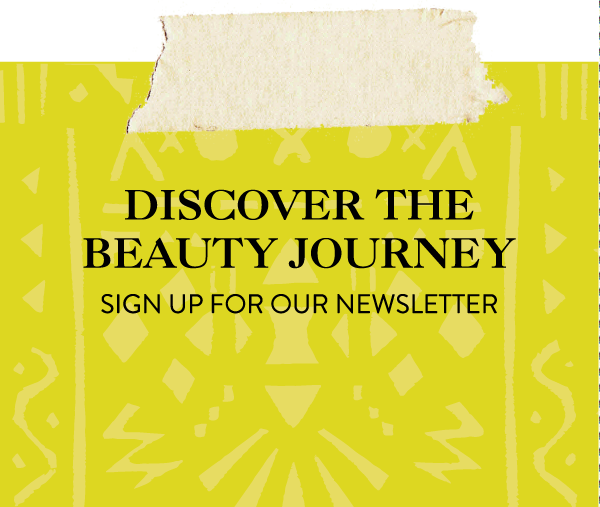 With all the amazing inspiration we’re gathering for next year’s adventures, it’s the perfect time to talk about the magic of Moroccan beauty rituals. By using wholesome, natural ingredients like oils, clay, and floral essences, Moroccan beauty focuses on purifying, exfoliating, and nourishing the body. Read on to learn the secrets of traditional Moroccan self-care, and how you can bring these ancient rituals into your home with the help of 21st century products! Oil is key to the Moroccan beauty ritual, and the chief oil in Morocco is Argan Oil. Known to Moroccans for centuries, the Argan tree is at the heart of community commerce. The harvesting of the Argan nuts and extracting of the oil is a communal bonding experience for Moroccan women, who take great care to collect the nuts while preserving the health of the Argan trees. Traditionally, they will pass the time spent peeling the hard exterior shells off by chatting and singing. Until Josie Maran burst onto the scene years ago with her 100% Pure Argan Oil, most people outside of Morocco had never heard of this simple ingredient. Now, it’s in beauty products everywhere, and has become a skin-care staple. Start your Moroccan beauty journey with Josie’s bestselling product, which will deeply moisturize your skin while not clogging pores. In Morocco, oil is not only applied to the skin – it’s used to wash hair, too. While washing your hair with oil make seem counter intuitive, it actually works wonders even for oily scalps by drawing out excess sebum and nourishing the hair cuticle (Read our previous article all about oil cleansing your hair here!). If you’re not ready to start oil cleansing your hair, there are some great options out there to incorporate Argan Oil into your hair care routine. One of our favorite hair duos is Herbal Essence’s Repair: Argan Oil of Morocco shampoo and conditioner. Not only does it smell amazing, but the Argan Oil will make your hair crazy soft and smooth. While Argan Oil is powerful, it isn’t the only ingredient in the Moroccan beauty routine. Sweet Orange Water and Rose Water are crucial in Morocco for cooking as well as for beauty. You’ll find Sweet Orange and Rose Water in everything from tagines to baklava to candies. Like other floral waters, not only do these smell divine, but they will tone and soothe your skin by harnessing the simple power of botanical extracts. And because everything LOLI Beauty Makes is food-grade, if you end up splashing a little in a Moroccan-inspired recipe, it’s all good! While Argan Oil is king in Morocco, it’s not the only solution Moroccans turn to for moisture. The Prickly Pear Cactus thrives in its arid environment, and its magical seeds contain a wonderfully balancing blend of skin-loving fatty acids. If you have very oily/acne-prone skin, try Kahina Beauty’s Prickly Pear Seed Oil. Kahina’s oil is cold-pressed, which means it preserves all the seeds’ amazing benefits, including high levels of Vitamin E and linoeic acid. Most acne-prone skins are deficient in linoeic acid, which triggers excess oil production to compensate. By replenishing the skin with more linoeic acid, oil production slows, meaning calmer, clearer skin. It really is a magical cactus! Exfoliation is a key ritual in the Moroccan skincare routine, because it preps skin to fully absorb nourishing Prickly Pear or Argan Oils. Sahara Rose’s Facial Exfoliant harnesses the power of several all-star Moroccan ingredients, like purifying clay and cactus blossoms. The exfoliant is in powder form, and when mixed with water (or rose water), it becomes a scrub. The fine grains of the exfoliant will gently but thoroughly remove dead skin cells and product build up, brightening your complexion and improving its tone. You can even leave it on for an additional 5-10 minutes and let the natural clays work their magic as a detoxifying face mask. If you have a few hours to set aside for self-care, go for broke and indulge in the entire Moroccan hammam beauty ritual. When Moroccans need to purify and relax, they go to their local hammam, which is a communal steam bath. While alternating between warm, hot, and cool rooms, the skin is cleansed with mixtures of black soap and rhassoul clay. The body is also thoroughly exfoliated with the traditional kessa loofah, which preps the skin for a final stimulating massage using Argan Oil. The result is amazingly smooth, moisturized skin that stays toned and glowing for days due to the powers of massage and purification through sweat. If you can’t jet off to Morocco with us on our upcoming trip, this kit by Zakia’s of Morocco is the next best thing! Another indulgent head-to-toe Moroccan beauty experience is available right in your local Body Shop store. Their incredibly moisturizing and heavenly scented Wild Argan body line will turn any bath or shower into a mini-hammam experience. Argan oil is the star ingredient yet again, and by layering the scrubs, shower gels, and lotions of the line, you’ll lock in several layers of moisture. It’s the perfect routine for girls-on-the-go who aren’t committed to the full scrub, clay, and massage steps of the traditional hammam but still want a luxurious feeling skincare experience. Plus, your silky smooth skin and the exotic scent will have you addicted! Morocco is such a vibrant, colorful place. Despite the arid desert backdrop, it is bursting with life, rich pigments, and luxurious textures. Nomad Cosmetics captured this amazing landscape with their Marrakesh All-in-One Palette, which includes six shadows, kohl eyeliner, mascara, and a blending brush. Full of saturated blues and oranges, the palette puts the focus on the eyes, and will pair beautifully with any eye color. After pampering yourself with the Moroccan beauty routine, it is the perfect way to express the unforgettable beauty of this inspiring country. While we have almost a year to count down to our Morocco Journeys, we’ll keep ourselves inspired by indulging in the time-honored secrets of their beauty rituals. Have you tried any Moroccan beauty before? What’s your favorite Moroccan inspired treatment? Let us know in the comments below!